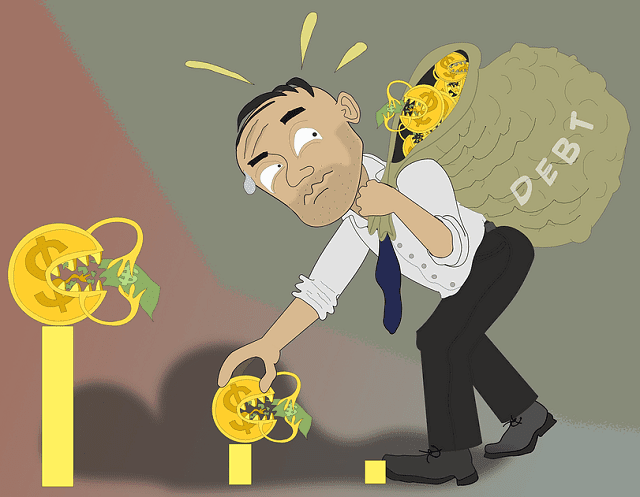 Bootstrap Business: Why Are So Many Americans Living With Debt? Why Are So Many Americans Living With Debt? The old saying, “life goes on,” gives us a healthy perspective in dealing with all sorts of life circumstances. In America though, it seems the mantra “debt goes on” is better served. After all, Americans have an unprecedented amount of debt. According to NerdWallet’s American Household Credit Card Study, the average American household carrying credit card debt had $15,432, a six percent increase from the year before and equating to over $900 billion in overall credit card debt. Consumer credit (debts related to credit cards, autos and student loans) also rose 5.1 percent in 2018 Q1 compared to the previous year. This year-over-year increase is nothing compared to the 11 percent increase in 2011, however, given that the financial markets are much stronger today, a five percent surge shows that Americans aren’t dealing with the healthy economy in the most responsible ways. What’s worse, this willingness to continue racking up debt is causing Americans to put off life goals like buying a home, saving for retirement, getting married, and having kids. What’s the root issue of accumulating debt? Why is debt climbing even as unemployment drops and consumer spending increases and incomes rise? As much as we wouldn’t like to admit it, we still have a “keeping up with the Joneses” problem in this country. We’re lucky to have one of the highest standards of living of any nation on earth, yet many people feel the need to buy cars they can’t afford, go shopping for clothes they don’t need, buy the newest version of electronics, regularly eat out at restaurants or live a high- entertainment life. Doing this is a recipe for financial disaster even if one has a disposable income, but when money’s tight, excessive credit card debt will inevitably ensue. Roughly four in 10 Americans have enough savings to cover a $1,000 emergency. What happens when a car breaks down, a job is lost, or health procedure is needed? Worse, people with no savings are more likely to have foregone regular car maintenance or taken care of themselves, usually making setbacks more severe, and costly. Consider that today, 2018, many high schools don’t have required financial education courses. We mandate math courses we won’t use in the real world, but not something as essential as financial math and realistic terms we'll come in contact with in our personal lives. It’s no wonder why so many young people get in deep with high-interest credit cards, some of them already destined to brave their financial futures without the aid of good financial education. 2 Debt is tied to a variety of negative emotions like anxiety, depression, anger, stress and fear. If there’s a central result to experiencing between one and all of these emotions, it’s being overwhelmed. This is the emotional state of Americans with far more debt than they can make headway on. The hopeless feeling of paying minimum payments and never getting ahead eventually becomes permanent. “Life goes on,” remember? Few compliments feel as good as being called a great gift giver. Carrying the reputation means we’re thoughtful, observant and selfless. But there’s a fine line between giving a memorable gift someone will love, and spending lavishly as a means of communicating emotional closeness. It’s one of the small, but essential tips financial thought leaders like Andrew Housser suggest as a way of staying financially healthy. It’s often helpful to follow these influencers on online social media outlets like LinkedIn. For some people, it’s the choice to live in debt isn’t even a conscious one. Many debtors don’t know the exact amount they owe. So it’s easy to imagine they’re equally unsure about the monthly interest rates they’re paying, and how their payments affect the overall trajectory of their debt. This skewed view of finances guarantees debt to be a lifetime inevitability. Debt can accumulate for many reasons, but the above are some of the most common recipes for disaster. Once in debt, there’s no use sulking about it, no matter how comfortable that feels. The only thing that can change financial turmoil is action. Get a hold on your debt today and craft a plan that, through disciplined hard work, will lead to financial freedom. I hope you enjoyed this article about why so many people living in the United States are in significant debt.